The CTUB100 series measuring current transformers are combinations of CTBC… measuring current transformer cores and CTUB10… electronic modules, which convert AC and DC currents into an evaluable measurement signal. The measurement signals can be evaluated using devices of the RCMA420/423 or RCMS460/490 series. The measuring current transformers are connected to the respective devices via a 2- or 6-core cable. They can be used in DC, AC, and 3(N)AC systems. The CTUB101-CTBCxx measuring current transformers are intended for connection to devices of the RCMA420/423 series and are supplied directly from the evaluator with the supply voltage DC ±12 V via the 6-core cable. The CTUB102-CTBCxx measuring current transformers are intended for connection to RCMS460/490. If the CTUB102-CTBCxx measuring current transformers are connected to an RCMS460/490 system, a DC 24 V power supply unit is required for the measuring current transformers, which is available as an accessory. CTUB10x-CTBC20P…210P for residual current monitoring systems of the RCMS460/490 series as well as for RCMA420/423 residual current monitors. 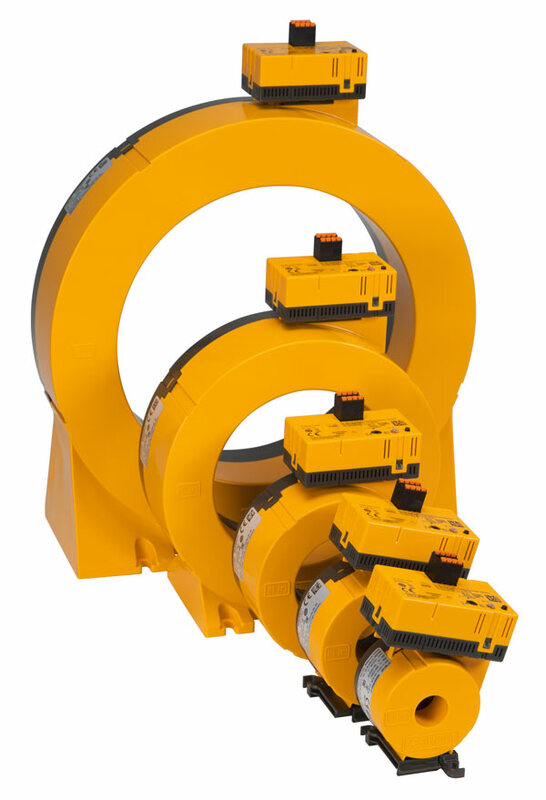 Can be used for short-term system-related load currents. Required terminals or connecting cables are optionally available.